🎖 Not a chartbuster, but still good. This plugin ranks amongst the Top 1000 plugins. ❤️ Other plugins from this team are not picking up well. Proceed with caution. 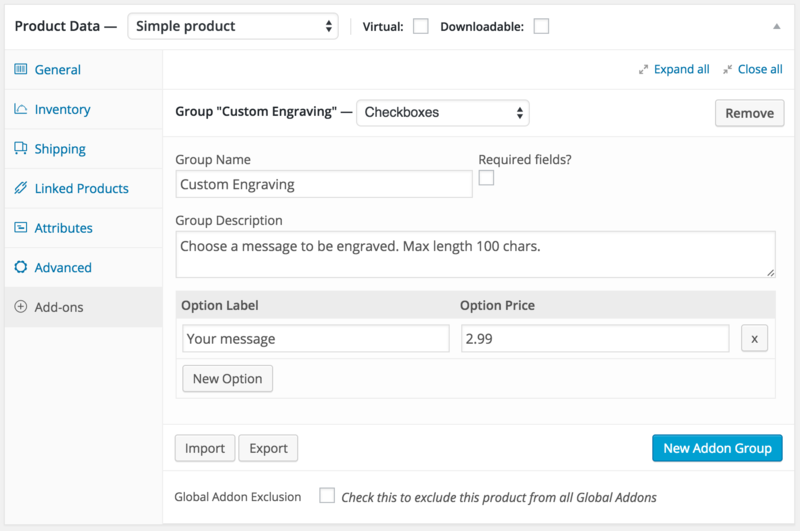 Allow customers to customize your products by adding new options such as input boxes, dropdowns, or checkboxes. With the Product Add-Ons extension, gift messages, donations, laser engraving, and any other product that requires user input is now an option! Product Add-Ons supports required fields, text areas, checkboxes, radios, select boxes, custom price inputs, and file upload boxes. Add-ons can be added globally or per product from the Edit product page – they can be named, described, reordered, and optionally given prices that are automatically added to the product price if chosen by the customer. 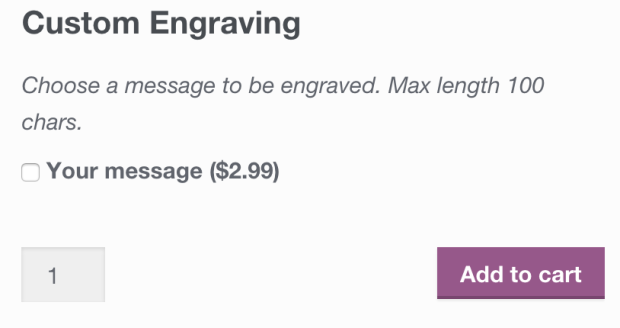 This extension also works with the WooCommerce Subscriptions plugin to add pricing to options for a recurring subscription. Product Add-Ons work both globally and on a product level. Add-ons cannot be defined for individual variations conditionally. Would you recommend this plugin summary to your friends? An insightful perspectives on WordPress Community and Ecosystem. Want to add your plugins here?